It may be a time of unusually depressing news, or I may just be getting older, but there’s plenty to be down about these days. Examples: the wave of humanity from Syria meeting human indifference in Europe and North America; the ignorance and bigotry posing as ‘religious freedom’ in Kentucky and elsewhere; the clown-show going by the name of the campaign for the Republican nomination for the presidency. That said, three things have given me inspiration and hope today and I do so want to share them. The first might seem rather random but life is that way sometimes. Later today, at Memorial Stadium in Berkeley, Grambling State University’s football team will play the Golden Bears of the University of California. No, that’s not it; this isn’t a sports story. 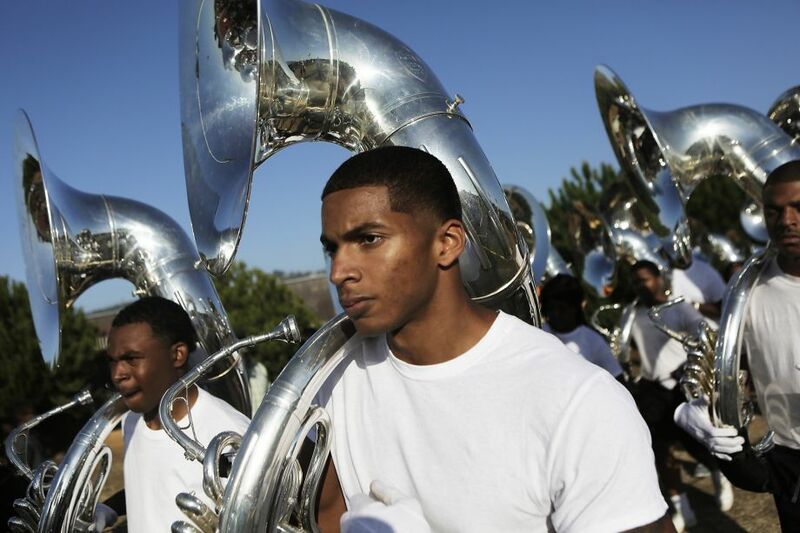 Besides football, Grambling, an historically-black institution of higher education, is known for it’s high-octane, high-energy, up-to-date and hip marching band, called “The Best Band in the Land.” Yesterday, that band practiced at Richmond’s John F. Kennedy High School, to the delight and, yes, inspiration of the benighted school’s students. Now, Kennedy is known as a tough school. It’s big and it’s urban. There have been violent incidents. Its students don’t tend to be among the state’s most accomplished. But yesterday, they got to see a high-performing unit of college kids who looked a lot like the high school kids and, by all reports, the results were glorious. Here’s hoping that message was absorbed by the Kennedy crowd. The next source of inspiration came over the radio, on the Canadian Broadcasting Company’s program Day 6. The program host, Brent Bambury, interviewed two Canadians who, a generation ago, were refugees from Vietnam, or boat-people as they were called back then. These people know well the feelings of today’s Syrians hoping for some measure of charity, if not hospitality from Europeans, from whom they’re hoping for refuge. Some years ago, they had been in the precise position, herded into camps, made to wait for sponsorship from some unknown someone in a position to help. They knew the struggle. You could hear that in their voices. But they also knew the relief when, in their cases, good-hearted Canadians took them in. And the result? They have become hard-working members of their communities, good citizens and credits to their nation. Turns out their gratefulness extends pretty deep. They’re organizing other Vietnamese-Canadians, themselves mostly former refugees, to help today’s Syrian refugees by extending the promise they found, in Canada, by sponsoring as many of them as they can. Canada had made all the difference in their lives, they reckoned in the interview, so they had an absolute obligation to humanity that necessitated their engagement in this latest human crisis. I listened to Bambury’s program in complete awe and gratitude. Finally, with all the cheap drama about and purposefully wrong-headed reaction to Kentucky clerk Kim Davis and her denial of civil rights to gay and lesbian couples, I was completely delighted to read today the front page of my local newspaper, the San Francisco Chronicle. 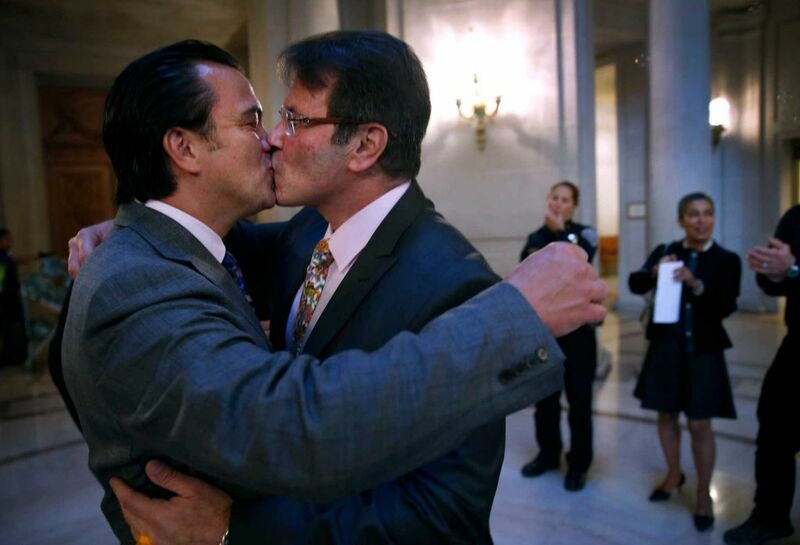 You see, routinely, every single day, day in and day out, without much, if any, particular difficulty, couples come into San Francisco’s gorgeous and historic City Hall to get marriage licenses and get married. The city clerk dispatches the job efficiently, without prejudice or judgment. Couples leave, tearfully, happily and then go to parties or lunch, then on about with their lives, as they themselves see fit, according to their own conceptions of divine direction, or whatever inspires them. Seen any man-woman marriages crumble as a result? Are the end-times just around the corner as a consequence? Not that I’ve seen, and I’m around City Hall at least once a week. (But, you know, I’ll be keeping my eyes open.) Know what I do see? Couples in love. Supportive families and friends taking pictures and, every so often, crying too. If these particular stories don’t give you inspiration, then go find some of your own. I bet you’ll find some if you’ll only look.